The roads are home to all kinds of vehicles. Daily drivers that clock thousands of miles each year. Seasonal vehicles that only clock hundreds. And then there are some whose odometers move only when being loaded or unloaded from a trailer. In any instance, winter vehicle storage is sometimes inevitable. There are several things to consider when storing a vehicle. Read on for some tips to ensure your vehicle is ready to answer the call when you awaken it from its storage-time slumber. There are plenty of good locations for storing your vehicle. Here are a few. Garage – If you own a garage, it’s the obvious first choice to protect your vehicle from the elements, pests or thieves during storage. Ensure that all entries are secure, including windows or side doors. Storage facility – If you live in an urban area or you don’t have access to an enclosed space, consider renting space at an indoor storage facility. There are businesses geared toward storing vehicles. Depending on your region’s weather, some offer both indoor and outdoor options. Friends or family – If the above options don’t work, call in a favor with a family member or good friend who has space in his or her garage, shed, barn or other secure building. 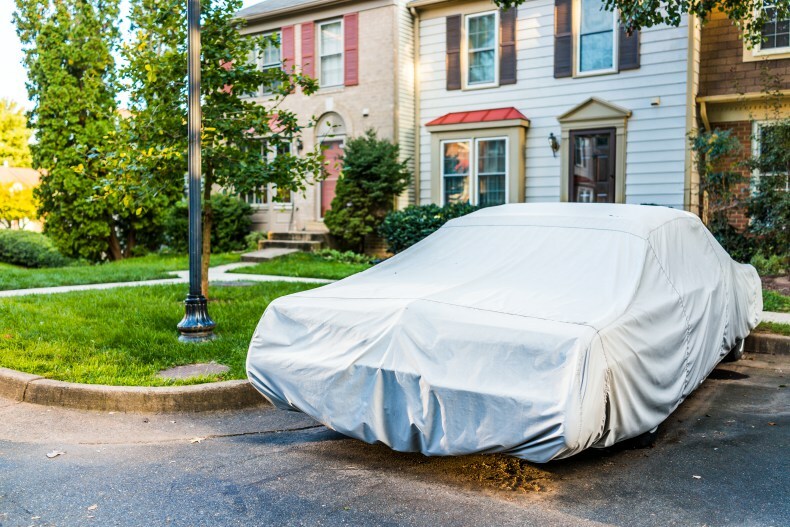 Outdoor storage isn’t ideal, but if it’s your only option, buy a quality weatherproof cover that will protect your vehicle from the elements. There are tons out there ranging from low quality to virtually impenetrable, so do your research to find the best one capable of properly covering your ride. Covers are effective at protecting the body of the car, but consider the underside of the vehicle. Parking on a concrete slab will help avoid moisture from the ground collecting under the cover and causing rust damage from the bottom up. When you let your car sit for long periods of time you want to make sure it’s thoroughly clean. Even small amounts of the following can damage the paint. Show your vehicle some love by washing it well, completely drying it with a shammy and giving it a proper coating of wax. If you’re really feeling fancy, use a clay bar to remove dirt trapped inside the paint. Inside the vehicle, vacuum all dirt, debris and crumbs. Even small crumbs will attract insects and rodents. Speaking of which, mice and other rodents love finding a good stationary vehicle to hole up inside for the winter. They’ll build a nest in an inconvenient place, chew through wires and wreak general havoc during their uninvited stay. Keep them out by closing off any entry points such as the exhaust and air intakes. Dryer sheets are an effective deterrent, so try placing those in and around the vehicle to deter them from considering your vehicle as a winter home. Perform an oil change prior to storing a vehicle. This will keep the engine from holding harmful contaminants for a lengthy period of time. Add a fuel stabilizer to prevent the gas from deteriorating, then fill up the gas tank to prevent moisture from accumulating. AMSOIL Gasoline Stabilizer is an excellent choice. It’ll inhibit the oxidation process in stored fuel, which will help prevent sludge and varnish from clogging injectors, fuel lines, carburetors and other components. Keep the fuel as fresh as possible since deteriorated fuel makes up the highest percentage of problems associated with vehicle storage. Start the vehicle every two weeks and take a short 10-minute drive if possible. A battery that is not used will soon lose its charge and lead to a headache later on. 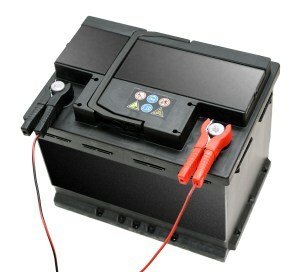 If you’re looking at long-term vehicle storage, it’s not a bad idea to disconnect and remove the battery entirely. Or, purchase a battery tender and connect that instead. Doing so will deliver a regular charge to keep the battery from losing all power. Look for one with an automatic shut-off feature so it’s not overcharged. Regular startups or a short drive will also keep the engine and all its components lubricated, which is another important area requiring regular TLC. Just be sure to remove any rodent-repelling measures you may have taken earlier, like the dryer sheets in the exhaust pipe. If you aren’t in a position to conduct routine starts or short drives, you’ll need something to prevent surface rust from accumulating on engine components. A good coat of AMSOIL Engine Fogging Oil sprayed into the cylinders will do the trick. This is another important area to consider, as they are what the vehicle rests on for the duration of the storage period. First, make sure the tires are properly inflated to the correct psi before storage. Sitting vehicles can create flat spots on tires that render them useless later on. If you won’t be driving at all, roll the vehicle forward or backward a few inches from time to time. You can do this when you conduct the occasional engine start to keep the battery alive and engine parts properly lubricated. For those who don’t mind a bit of extra work to ensure road-ready tires later on, you can also take them off entirely and replace them with jack stands. Based on your environment you can pick a storage protocol and do the best you can. Just be aware that vehicles don’t like to sit for extended periods and need opportunities to “stretch their legs,” so to speak. They need to be started and moved at least once per year to keep seals from drying out and internals coated with oil. Follow our vehicle storage advice and your ride will be ready for the road when you are.